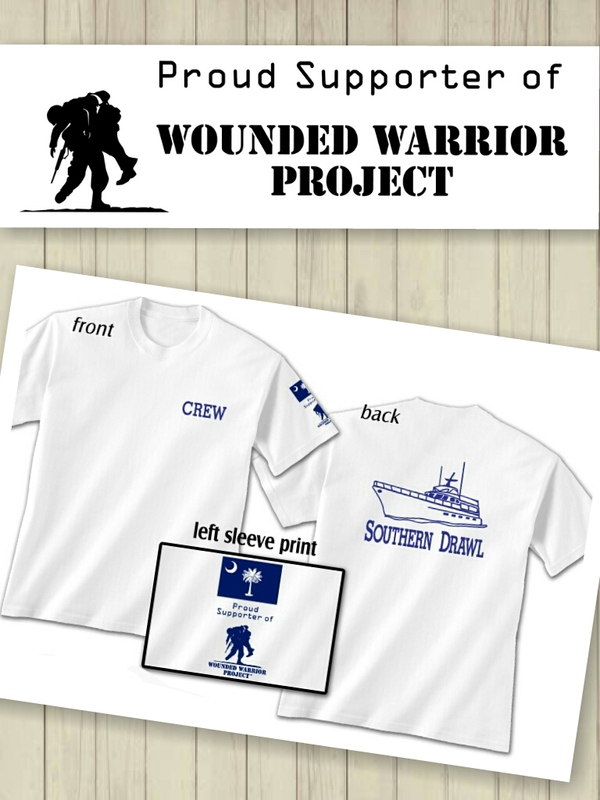 Crew and picture of the boat and the SC Flag and Wounded Warrior Logo on the left sleeve- Royal Blue print on Beefy white T's. 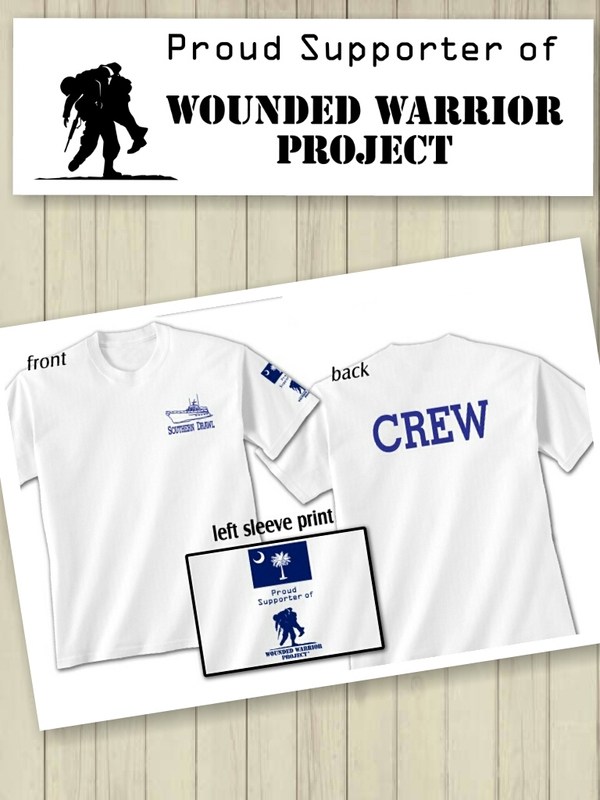 Specify CREW on FRONT or BACK when ordering. 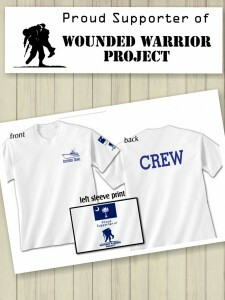 Check out the pics to see which you prefer. 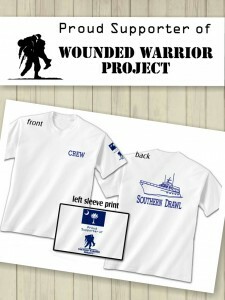 Please call or email us your order- remember your shipping address. We will have the Credit Card set up soon. 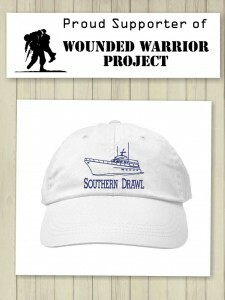 $5.00 from the sale of every T-Shirt or Hat goes to The Wounded Warrior project. Thank You.